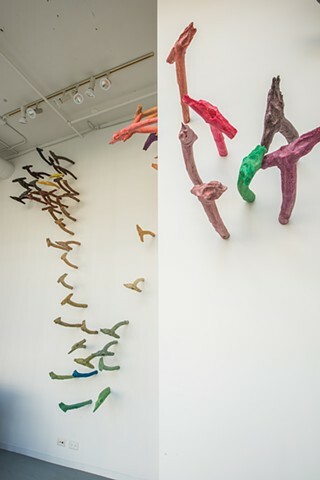 In the installation, Between Us and Them, groups of different colored, wall-mounted, branch-like forms are engaged in dialogues. Are the outliers visionary leaders or are they disrupting anomalies? Do the inherent tensions that emerge from non-conformity strengthen or weaken our social patterns?